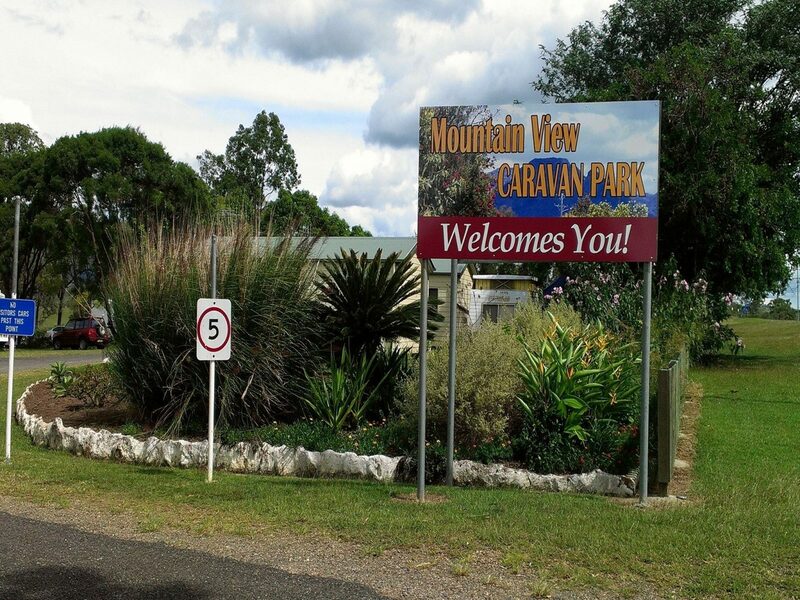 With over three acres of attractive parkland and stunning views of Mount Walsh, the Mountain View Caravan Park is just five minutes walk to Biggenden’s main street. The Park’s well kept grounds and clean, fresh facilities will impress. 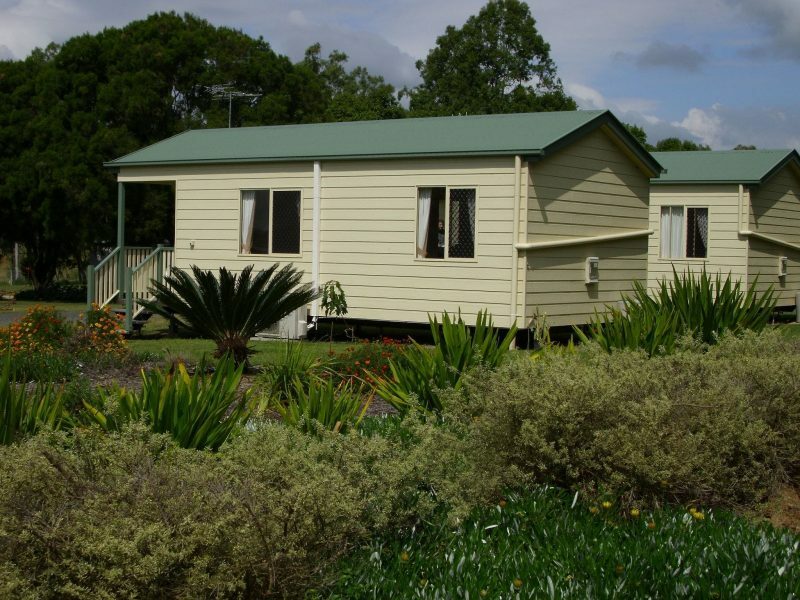 Three clean and comfortable cabins with en suites are available as well as powered and unpowered sites, camp kitchen, covered barbecue area and laundry. 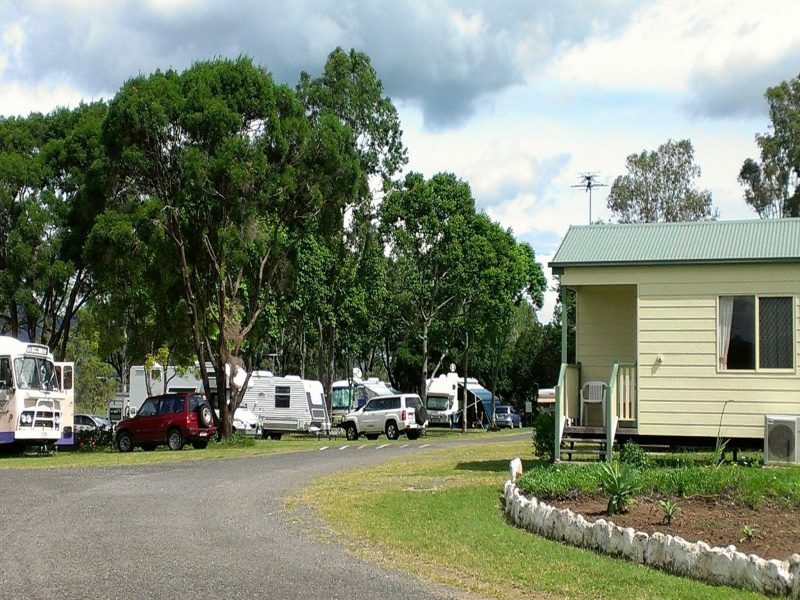 Situated next door to the Showground, the Caravan Park is easily accessed with ample parking for all types of large vehicles. Free WIFI is available at North Burnett Regional Councils Customer Service Centre. Please ask caretaker for the closest location. There are three, two bedroom, en suite cabins with one double bed in one room and three single bunk beds in the second bedroom. 34 Powered Sites amongst beautifully kept grounds with lots of shady trees. The Non Powered Camping Area is conveniently located between the camp kitchen and the amenities block. Non-power sites: AUD22 overnight (up to two people). Powered sites: AUD30 overnight (up to two people). 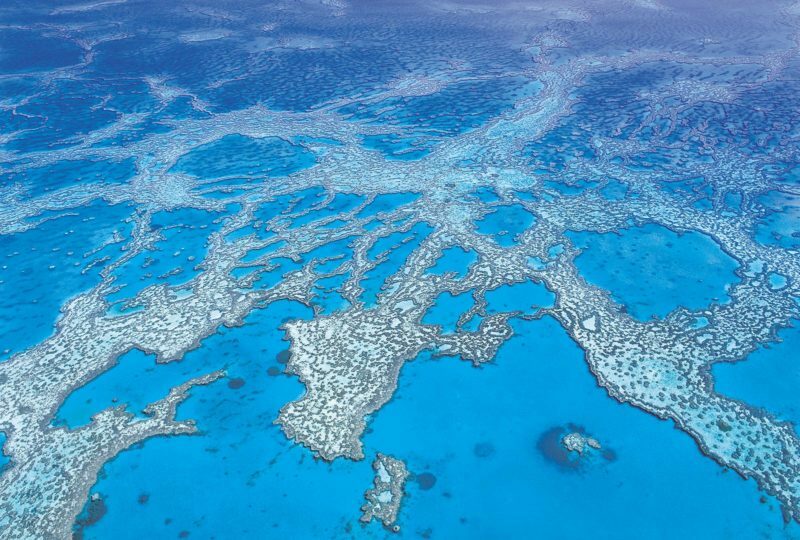 Cabins: AUD110 overnight (up to two people). Discount Rate – Pay for six nights get seventh night free (up to two people).